In a lush field in the heart of the Japanese mountains, a herd of glossy black cows roam happily — prime examples of the area´s Hida brand of wagyu beef. The value of exports has risen more than 200 percent in the last five years — Hong Kong is currently the largest market. There they give birth to calves that are the product of carefully organised breeding to protect the "purity" of each cow´s bloodline. "It´s important to preserve the bloodline, because good genes guarantee good quality meat," explains Koichi Maruyama, a local official in charge of the cattle rearing department. They are tagged electronically, in a system described as unique in the world, and every cow´s family tree can be traced back at least to its grandparents, if not further. Producers in Takayama don´t go that far but that doesn´t mean there is much room for error. "We never rest, we´re looking after them 24 hours a day, 365 days a year," says Shuichi Mizobata, on the sidelines of a locally organised wagyu competition. And the explosion in exports comes despite the eye-watering expense of the product — the most prized portions of wagyu go for around 13,700 yen a kilo. Increasingly, producers are also securing halal certification for slaughterhouses — which number around 200 in total across Japan — so they can export to Muslim countries. 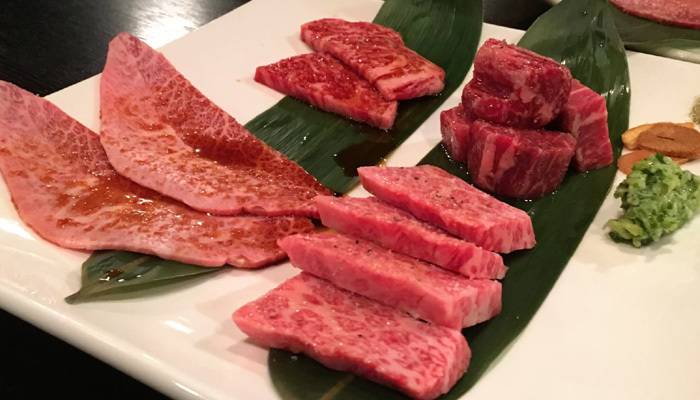 After slaughter, the beef is put up for auction, with the carcasses displayed behind glass alongside cards ranking them according to a precise system based on the meat´s marbling, colour, texture, and the quality of the fat, according to director Mitsushi Kobayashi. "So the meat can be appreciated as it is, you just grill it and that´s it. It´s very Japanese, like sashimi."